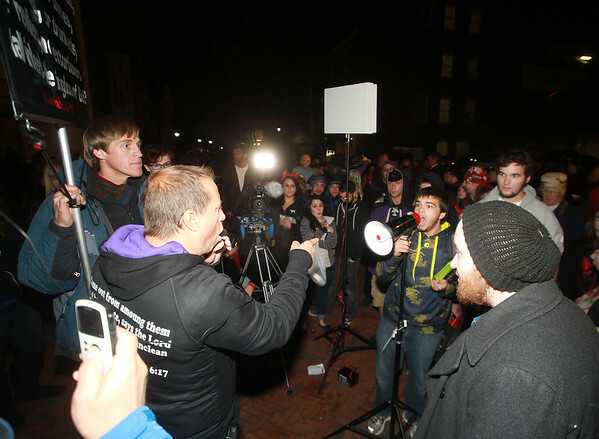 Religious protestors get into loud arguments with crowd members in Downtown Salem on Halloween evening. DAVID LE/Staff photo. 10/31/14.